Chocolate is the most enchanting universal language, depicting the wonderful stories of Taiwan Terroir. Warren Hsu, founder of Fu Wan Chocolate, is the first chocolate taster in Taiwan to be certified by International Chocolate Tasting Institute(IICCT), London.Led by his passion and outstanding skills, Fu Wan is the first Bean-To-Bar chocolate maker in Taiwan and committed to conveying precious cacao experience to the world. Its Taiwan #1 Ping Tung Chocolate 62% won the Best in Competition Overall Winner as well as 5 Gold Medals in the 2017 ICA Asia-Pacific Competition, marking a glorious milestone in the history of Taiwan cacao industry. 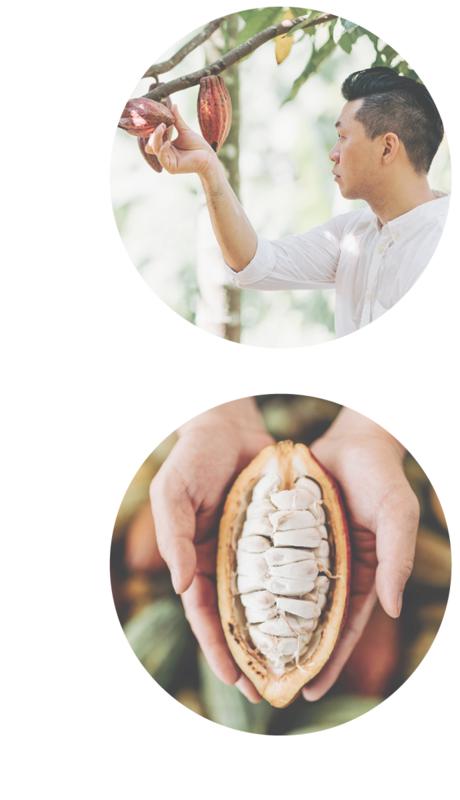 Sourcing high quality Taiwan cacao locally and premium cacao beans from around the world, Fu Wan specializes in bean-to-bar and tree-to-bar chocolates. It fuses chocolate and Taiwan's signature ingredients to create fresh, delicate and charming new flavors. Since 2017, Fu Wan has won numerous international awards, including ICA and AOC Gold Medals, and earned worldwide recognition for its exceptional effort in propelling the "Oriental Cacao." All of the Taiwan Chocolates are made from tree to bar in Fu Wan in Ping Tung county, that means we do the fermentation, drying, roasting, grinding ...all by ourself with the highest quality control and shortest chocolate food milage in the world. The cacao tree are planted to be the substitution of betel nuts, although they are not organically certified, but are certified no pesticide residue by SGS every year.